Preheat oven to 180°C. Place the dried fig, honey and boiling water in a bowl and set aside for 10 minutes. Place the almond meal, bicarbonate of soda, baking powder and cinnamon in a large bowl. Add the fig mixture, ricotta, eggs, milk and oil and mix until just combined. Divide the mixture between a 12 x ½-cup-capacity (125ml) muffin tin lined with paper cases. 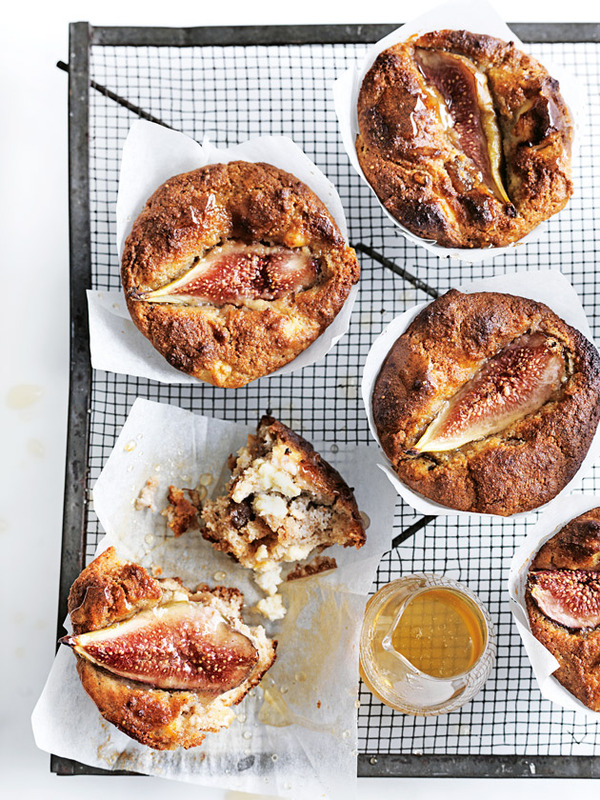 Press the fresh fig into the top of each muffin and cook for 25–30 minutes or until cooked when tested with a skewer. Drizzle with extra honey to serve. Makes 12.